A great specialty store on the colourful Queen Street West strip close to Bathurst. Owner Andrew Livingston has a great eye and sells the best looking organizing and storage supplies we have found in Toronto. Including some of our favourite lines: Blomus, Fatboy beanbags, Reisenthel and Kartell furnishings. 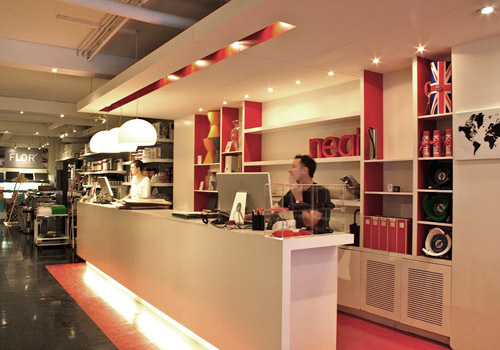 Their corner became even more exciting in January 2012 when CB2 opened across the street.